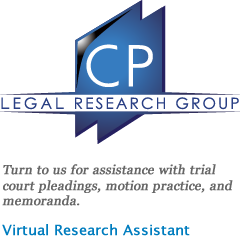 What is the Counsel Press Portal? 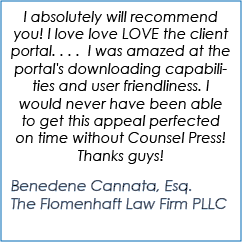 The CP Client Portal is a secure area of our web site that allows clients to view the status of a case, upload and download files, review statements and invoices, make payments and get other information about each case we have helped you with. How do I get a client portal account? Please contact any of our Counsel Press sales persons. They can initiate the process.